The pattern for this part incorporates a resin print from an original, early N type design. The quality of the finish is high as a result of the fine oil based casting sand used. 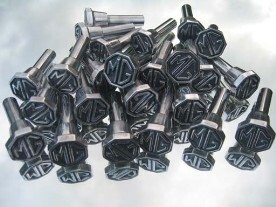 We also have our knobs cast in LM6 alloy to produce a longer lasting highly polished finish. The original factory knob was a pressure die casting which is no longer cost effective to replicate. However, with the exception of being unable to incorporate the small casting reference code, our finish is otherwise identical to the factory finish, the steel insert is of bright bar and the cast knob is supplied highly polished. 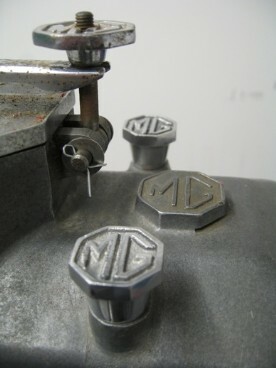 We also supply rocker cover securing knobs for the M, C, D, F and J Types as well as the OHC Morris Minor.